Yup. 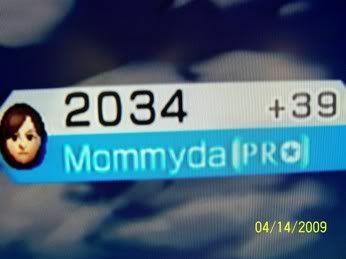 That's my mom's status upgrade in Wii Golf to "Pro". Needless to say, they are enjoying his retirement! Come to think of it, I don't think they have EVER sent me a picture of themselves. But that's okay... I can just stare at my mom's Mii.